When I taught Kindergarten last year, it was a half-day program. This was challenging for excursions, since we only had a two and half hour window to go somewhere and get back to the school so the children could meet their day-care providers for pick-up. This year, with my Grade 1/2 class, I have enjoyed many class trips. Most of them I organized or booked back in September to support the learning of our “big ideas.” A couple of trips were more spontaneous, like a trip to hear an orchestra, which was organized by the school. On one of the trips, a parent volunteer that joined us for the day asked, ” Why do some classes in the school have more trips than others?” She thought that the trips were arranged by the school (administration?) for each particular class. This surprised me, but I explained that it was the discretion of the teacher. Years ago, my mentor suggested taking students on a trip once a month. I remembered this, and tried it out this year. The places we visited were connected to our big ideas. I found the excursions worthwhile as it engaged the students, affirmed our sense of community as we ventured out of the school together, and provided alternative contexts for the students to create new connections and understanding. We visited a variety of facilities ranging from museums to conservation parks, which offered a range of indoor and outdoor experiences appealing to the many learning styles of the students. Taking photos on the trip is a great way to document the learning. These photos can be shared with parents on a website as a form of communication or presented back to the students to promote more questions and thoughts. I often asked the students the same question when we returned, “What did you notice?” And it always amazed me how this open-ended question elicited observations that I never expected. We then recorded the observations of the students and used them for further investigation or discussion. Class trips are like family vacations, you may not recall day to day events, but you often remember the big trips with happy memories. 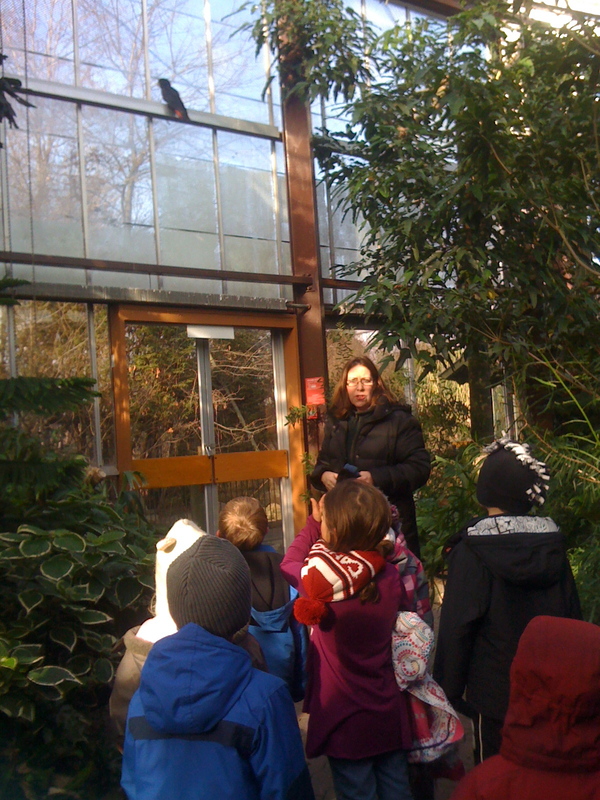 Our class gets a guided tour at the zoo.